Greeneville Devils Put the Smack Down on East Ridge!! > News > Greeneville Devils Put the Smack Down on East Ridge!! 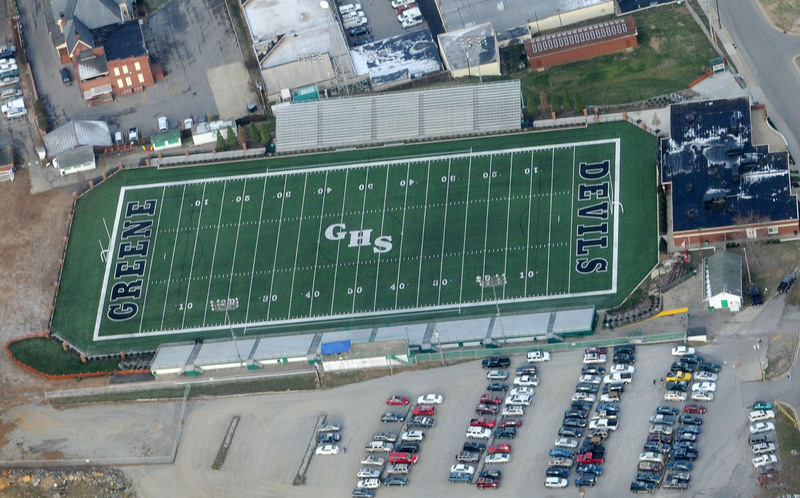 So there I was…standing in the end zone of Burley Stadium one hour before the Greeneville Devils took the field against the East Ridge Pioneers in their first playoff game of 2010. It was cold and rainy, and as I prepared to watch my first game on the astroturf field at Greeneville High, I couldn’t help but sense that this was a high school football wonderland. I could also sense that this wasn’t just any ol’ high school football team; this is the heartbeat of Greeneville, Tennessee…and these Devils were on a mission -- to make it back to Cookeville on December 3rd for the State Championship game…one in which they lost last year, 21-14. As the fans began rolling in, the intensity began to build, and then it happened…the opening kickoff. Although it was somewhat of a slow start for the Devils, I knew right away who had control of this game. The Devils defense held the Pioneers to a negative -3 in rushing yards and only 66 total yards for the game. Not only was the Devils’ defense as fierce as it gets, the offense was pretty darn good as well. Senior QB Willie Carmichael and senior tailback B.J. Spradlin were unstoppable. Carmichael rushed for 127 yards and two touchdowns, while Spradlin rushed for 117 yards and one touchdown. The Devils’ offense was able to put up 387 total yards with 345 coming on the ground. The Devils won this game pretty easily 49-7 and remain unbeaten as they improved their season record to 11-0. There is no question that Head Coach Caine Ballard has his boys looking good at the right time, as they now prepare to take on the Fulton Falcons this Friday night in Greeneville for round two of the playoffs. The Falcons defeated Chattanooga Central 20-7 Friday night to set their date with the Devils.